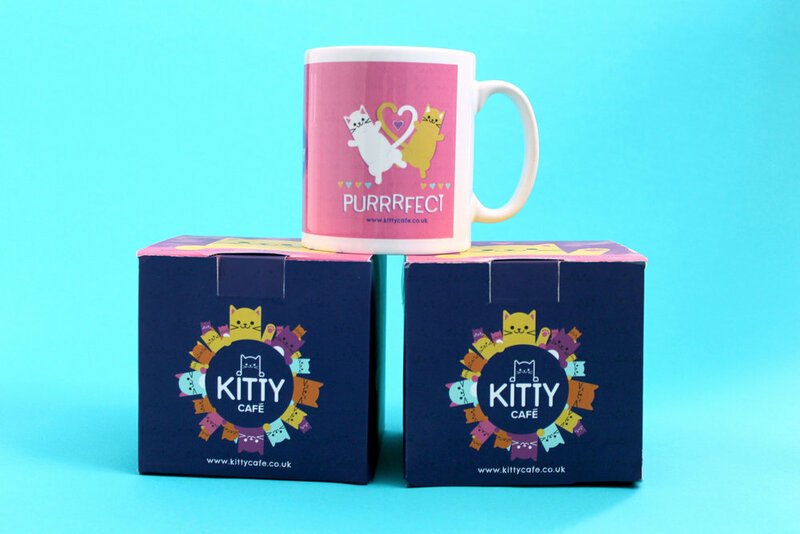 Working with Kiity Cafe to develop the best merchandise options for the customers. All profits go back in to the cafe and caring for the cats ready for rehoming. Here’s Autumn helping us pick her favourite designs for the merch. Cats everywhere, world of cats. All themes for merchandise. 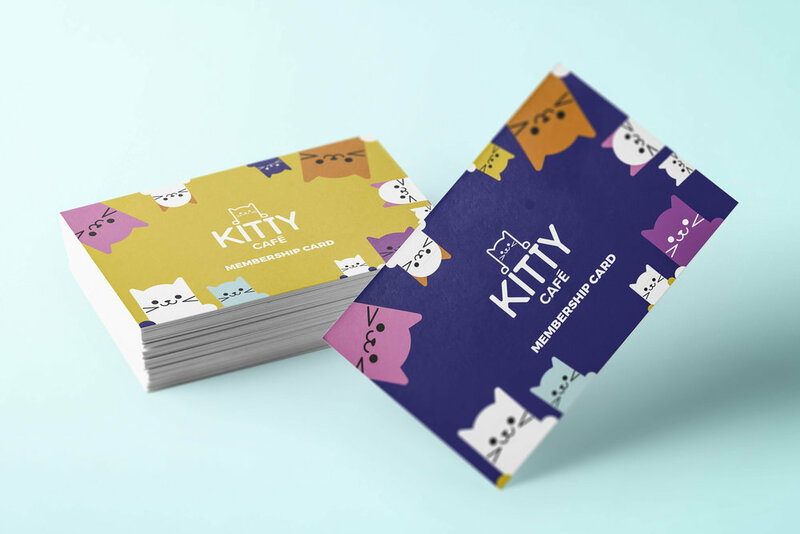 The main points were carried on from the existing language: Cute cats, good food, happy people and happy cats. Each location has it’s own little twist so you can collect something different from each location.